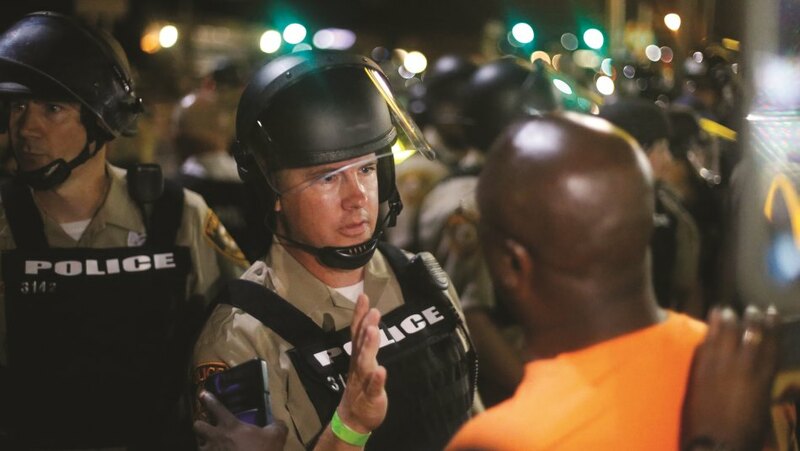 From Baltimore to Ferguson, these five police departments hope to foster community trust with specialized communication strategies and initiatives. The nation has been rocked by the deaths of several black men at the hands of police including Eric Garner and Michael Brown. Outrage over the incidents, often covered in graphic detail by citizen journalist videos splashed across every newspaper, news cast, and social platform, have driven throngs of angry protestors into neighborhood streets and given voice to a collective Black Lives Matter rallying cry. In the aftermath, police departments across the country are looking internally to redouble efforts to connect with communities and address a public perception crisis. Below, PRWeek talks to comms professionals in several cities about rebuilding relationships and finessing a new arsenal of comms skills to restore trust. While the city saw some protests as a result of the deaths of Freddie Gray and Michael Brown, the Atlanta Police Department (APD) has kept community tensions mostly in check thanks in part to using social media to show transparency in its actions, as well as to tell a counter narrative to the negative media stories of police negligence and excessive force. The department also credits several outreach and engagements programs, such as its Police Athletic League, in making a difference. 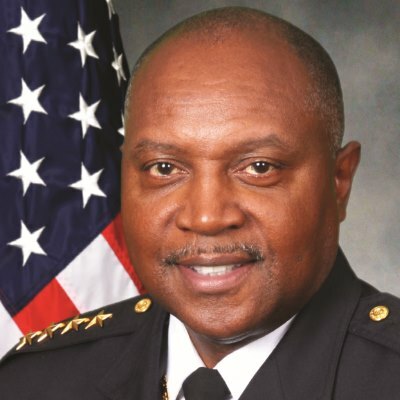 Atlanta police chief George Turner, who grew up in the city’s housing projects, was appointed on a reform platform six years ago that included community policing. "Community policing involves establishing relationships with broken communities on a day-to-day basis," he says. The department’s programs include positive loitering, whereby command buses set up in high-crime areas and encourage residents to work with police to better their areas. Other outreach efforts include the tactical neighborhood canvas, in which police partner with community leaders to go door to door when investigating a crime. "It is about solving problems collectively and helping change the dynamic of an area by giving people a different vision for their community," says Turner. At the time of the Ferguson decision, APD was in the midst of focus groups with community groups, including faith- and business-based leaders, in addition to residents who had graduated from its Citizens Police Academy, which offers training on the force’s procedures and protocols. "We told the groups afterward: ‘This is what you said we’re doing right, what you said we need to do differently, and where you said you think we can do better,’" Turner adds. From that dialogue, APD established an advocate group that will help champion some of the force’s initiatives. To measure the effectiveness of its community policing, APD looks beyond participation rates in programs. The stats the department cares most about include crime rates and clear-up rates, meaning the percentage of crimes that are solved each year. In 2014 the number of Part 1 crimes, which include homicides, assaults, and larceny, was 31,691, a lower number than the 32,095 incidences in 1969. In 2015, the clear-up rate exceeded 80%, well above the 57% average nationwide for comparable-sized cities. "You don’t solve crimes unless people talk to you," he notes. "A number that high says, ‘Our community trusts us.’"
To maintain the trust earned through its community outreach, APD is using social media to operate more transparently. Last October, the department began holding public roll calls streamed via Periscope. "We had a series of violent crimes that took place in a particular area. We did roll calls in the streets so everyone could see that we’re active in those areas," he adds. The force is also on Facebook, Instagram, Twitter, and YouTube, where it has started posting videos featuring officers explaining, "Why I Wear the Badge." The social channels are managed by a small team of public information officers led by Elizabeth Espy, APD’s director of public affairs. In addition, social media has also become a key tool for APD to celebrate successes with the community. "There’s a perception that a police force’s relationship with the community is represented by the sad stories you see on the news," adds Turner. "Social gives us a way to push back with a more positive, but accurate narrative. To continue to turn perceptions around, we need to get bigger on social." When George Turner, who lived in Atlanta’s housing projects for the first nine years of his life, became the city’s police chief, he set out to grow the department’s Police Athletic League program. "I was fortunate enough as a kid to be in programs where the police engaged in the community in the right way," he explains. "The truth is, those officers looked like me; that was amazing for me as a young man to see." Atlanta has two athletic league centers offering summer camps and after-school programs. To start, APD made sure it had the right officers in the centers trained and experienced in working with youths, not only in sports, but also in helping them with things such as their homework. "You want to foster mentors for young people who without those relationships might later become negative elements in their areas," he adds. Five years ago, it also started an annual fundraiser called the Guns-N-Hoses boxing tournament, which pits local firefighters against police officers in a boxing ring. The 2015 edition in December included an exhibition with former heavyweight boxing champion Evander Holyfield, who is an APD board member. Attendance in the summer and after-school programs have more than doubled in the last six years to more than 250 and 200 kids, respectively. Turner says they are relying on social media, in particular Facebook and Instagram, to continue the positive word of mouth. News outlets such as CNN and The New York Times were quick to brand the Baltimore Police Department’s handling of the Freddie Gray riots in April 2015 a "disaster" and call the community-police relationship in the city "broken." Gray’s death in April while in police custody was highly publicized, sparking retaliation throughout the city. However, his death marks just one of the 300 homicides the city saw in 2015 – more than any year since 1999 – according to media reports. When TJ Smith took on the role of director of media relations for the BPD in August, he set out on a mission to stop negative national headlines from defining the city. "We are not letting a headline from a national newspaper that only comes here at a time of crisis define us," says Smith, who previously served as director of media relations for Maryland’s Anne Arundel County Police Department. Instead, he said citizens are helping to define the city. For instance, in November, BPD commissioner Kevin Davis and members of the community finished a fence a local murder victim was putting up when he was killed. "The community and police interaction is the only thing that will drive down crime numbers. We all have to work together; all of us uniting as a community is what is going to define us," adds Smith. "That is happening here every day, but it doesn’t get banner headlines with national press." 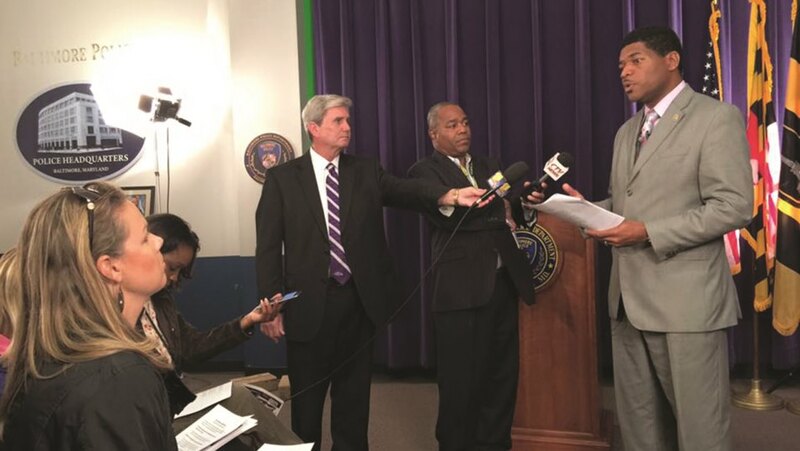 As part of his focus on engaging the community, Smith strategically chooses to make the commissioner available to local media before national or world news reporters. "We have an obligation to Baltimore citizens to make sure we are communicating our message to them as often as possible," he notes. "Not to say we are not working with other outlets, but that is a different level of image building." To fix the BPD’s relationship with locals, Smith has also been reaching out to the community to aid the police with unsolved cases. In September, it launched Wanted Wednesday, a social media campaign highlighting people wanted for violent crimes in the city. They create a short video with information about the criminal and post it to the BPD’s social pages: Twitter, Facebook, and YouTube. "People we have profiled on Wanted Wednesday have personally called our office saying they will turn themselves in," says Smith. "Of the people we have profiled, 50% have been arrested." Once a week since November, local radio station WBAL has invited the police to take part on The C4 Show in a segment called the BPD Case Files, where an officer discusses an unsolved murder case. The show is also Periscoped. "We use Periscope regularly to advertise arrests, press conferences, and to show behind-the-scenes things officers are doing," Smith says. "It is another level of transparency." Police officers have also been aiding members of the community in person. Last summer, the department bought toys for five children under the age of 10 who were shot; and in December, police officers went shopping with the community as part of the BPD’s "shop with a cop" event. "We advertise [police officers] on social a lot, so they become figures in their community," he adds. The BPD has 141,000 Twitter followers, making the department one of the most popular accounts on the platform in comparison to other police units in the country. Smith attributes the large social following to the tragedy in 2015. "Most agencies have had spikes [on social] because of tragedies," he says. "We had a large following prior to the unrest, but when you’re in the spotlight, you get more followers." We all have to work together. All of us uniting as a community is what is going to define us. The central account for the agency is handled by Smith’s team of roughly 10 staffers, who use a "conversational approach to social," responding to comments when posted. Since Smith joined the BPD, he explains that comms efforts have improved the community-police relationship, but adds "there is still work to do." In 2016, the BPD is rolling out a "foot patrol curriculum," which he says is the first of its kind in the nation, aimed at getting police officers out talking to local residents. "Hopefully next year people will come to Baltimore to see how we have gotten better," Smith notes. 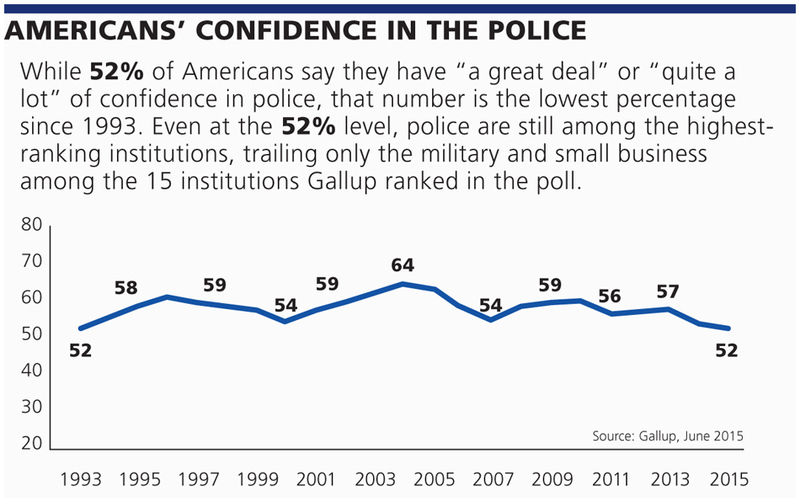 The negative publicity BPD garnered in 2015 has not affected its number of recruits, according to Smith, who compares the city’s unrest to the tragedy of 9/11. "After 9/11, military numbers increased," he says. "We expect the same thing to happen here, in terms of recruitment." Smith adds that people want to be a part of the win. "They know we are going to rebound." That is the reason Smith, a Baltimore native, took over the comms role at the BPD in August. "People called me crazy, but I know I am going to be part of the win and success as we stabilize Baltimore." In August 2014, Michael Brown, an unarmed black teenager, was shot and killed in Ferguson, Missouri, by Darren Wilson, a white police officer. Brown’s death prompted weeks of demonstrations and a police response that included tear gas and rubber bullets. Confrontations continued even after the Missouri National Guard was deployed to help quell unrest. 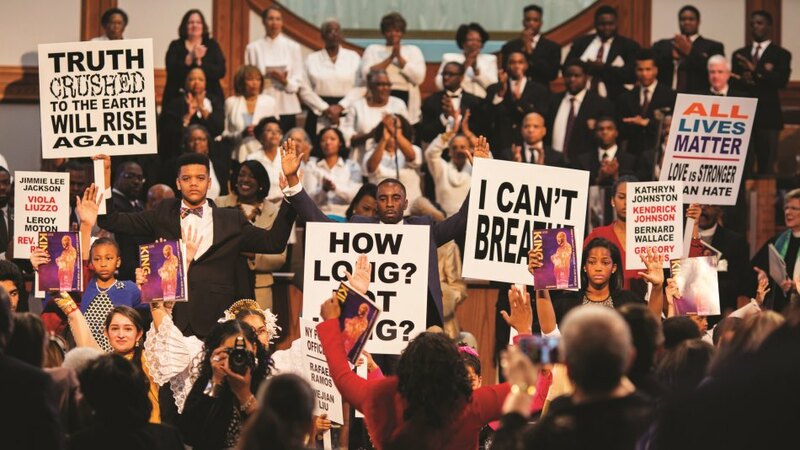 Later, in November, when a grand jury did not indict Wilson, protests broke out again. One year after Brown was killed by Wilson, a state of emergency was declared to control violence in the city after plainclothes police officers shot and critically wounded an 18-year-old black man who they said fired on them the night before. In the 18 months since Ferguson made headlines across the world because of Brown’s death, the police department has ramped up efforts to build stronger ties between officers and the community. 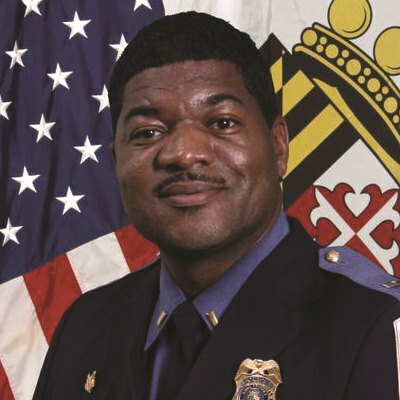 Shifting officers "from randomly assigned areas to permanent sectors" was one such effort "so that the community can see the officers on a regular basis and get used to them," says former interim police chief Andre Anderson – who left the force in early December. Senior officers with rotating hours were given more consistent schedules. Events like "park, walk, and talk" brought police together with residents and local business owners. "We have police officers parking their cars and getting out to talk to people, with an emphasis on conversations, not confrontations," says Anderson. Talking with the community has become increasingly important. In March 2015, former Ferguson police chief Thomas Jackson left his post after "a scathing Justice Department report that accused the city’s police and court system of racial bias," according to NPR. Anderson says there have been talks with protestors since he was appointed to interim chief in July. "I wanted the officers to recognize there are times when specific individuals are protesting and they have a purpose, and to make sure the department supports their constitutional rights, as well as understands exactly what they want," he says. In terms of the conversations, Anderson adds that police and citizens have "been speaking candidly about race and its relationship to the community." The city took the step to bring in external help, calling on eLittle Communications Group, a full-service, minority-owned, advertising, PR, and marketing agency located in St. Louis. "Transparency is key when it comes to the community, the police department, and also for city-elected officials," says Johnny Little, president and CEO of eLittle. "When we came on board, that was one of the main tasks we wanted to achieve." 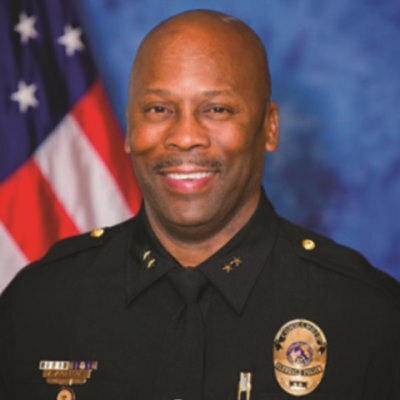 In his roughly five months leading the Ferguson unit before returning to lead the Glendale, Arizona, department, Anderson says his biggest hurdle was trying to foster a culture shift around how the police department and city officials were viewed. He credits eLittle with helping to push out "positive branding on what police officers are doing in the community." In two months, Anderson was able to recruit four potential new hires. It’s also not lost on him that he was leading a unit the entire nation now knows. "When I got there, I addressed the concept of being professional, respectful, and maintaining safety for the citizens and officers – three simple principles we used to address the changes we’ve seen," says Anderson, who adds that on a national scale, the department he left is "relishing the opportunity to demonstrate they can perform well." Lt. Al Labrada, assistant commanding officer of the LAPD community relations division, has been with the force more than two decades, and explains a proactive approach is integral to fostering a positive relationship between the police and the people of Los Angeles. That way the force won’t be left trying to play catch-up in the wake of a potentially divisive incident. The department has weathered its share of controversy, particularly in the ‘90s with the Rodney King beating and ensuing riots, as well as a corruption scandal involving an anti-gang unit of the LAPD's Rampart Division that resulted in more than 140 civil lawsuits against the city. Education plays a big role in community outreach, Labrada explains, particularly with groups like undocumented individuals who might live in fear of deportation and opt out of reporting crimes perpetrated against them. The department’s website, lapdonline.org, is available in Spanish and Labrada says the goal is to expand outreach to other languages including Korean. "The biggest part is just getting out there," says Labrada, who notes the force was the "first in the nation to have an entire division dedicated to outreach and social media." 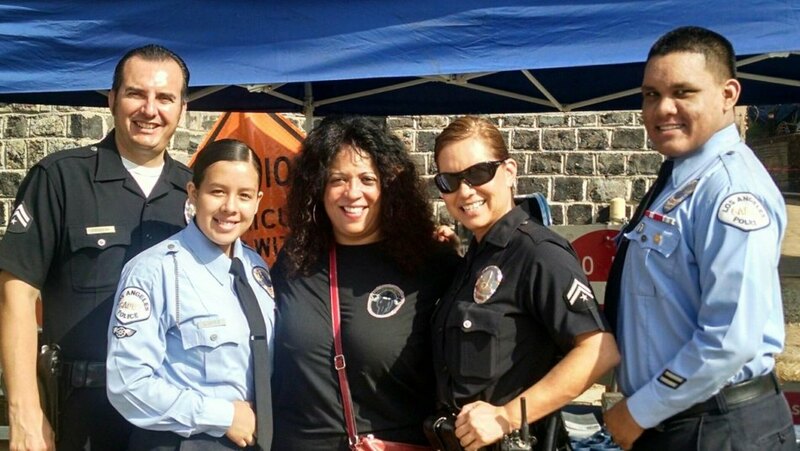 LAPD’s community involvement includes public forums and collaboration with programs dedicated to intervention and gang reduction. "We’re thinking outside the box. I’ve got officers going to parks, playing basketball with kids. A group of officers is coaching football in one of the housing developments," Labrada says. There’s even an effort to start a yoga program for at-risk youths. Resorting to arrest after arrest isn’t going to work, says Labrada. Education and outreach are crucial to not only keeping Los Angeles’ youths safe, but also building a rapport with parents. Outreach doesn’t stop with families and nonprofit groups throughout the city either; Labrada says the department connects with clergy, too, and talks them through the steps police must take in the aftermath of certain events. The LAPD is involved with weekly events such as cleaning up neighborhoods and getting meals to those who need them – which they also share on social media. Senior members of the force are welcome to interact with the community on their own Twitter feed, but the LAPD does strive to maintain a coherent message. "We’re trying to make sure we put out the right information. We don’t want officers putting out personal information [or] beliefs," he explains. With the help of social media the department has become extremely faster at alerting the community to events such as road closures. On Twitter, @LAPDHQ has more than 42,000 followers. A search for ‘LAPD’ returns a variety of accounts, like @LAPDWestLA, @LAPD77thSt, and @LAPDSouthBureau. On Facebook, more than 72,000 people liked the LAPD headquarters page. Increased efforts toward transparency started a little more than a decade ago at the Los Angeles Police Department, Labrada notes, in the years following its entering into a consent decree with the U.S. Justice Department designed to address needed reforms. That particular turning point "started the ball rolling," he says. "We’ve had other incidents [that] made us take a step back." He points to riots toward the end of the 1960s, which led to an initial effort to connect with the community. "We’ve learned you can’t just start arresting everyone," he says, particularly if outreach and trust-building have fallen off. The department’s outreach efforts seem to have a positive impact on the community. "It’s very enlightening the way the community is responding to it," says Labrada, pointing out that people in neighborhoods like South LA "historically did not have a good relationship with [the police]." 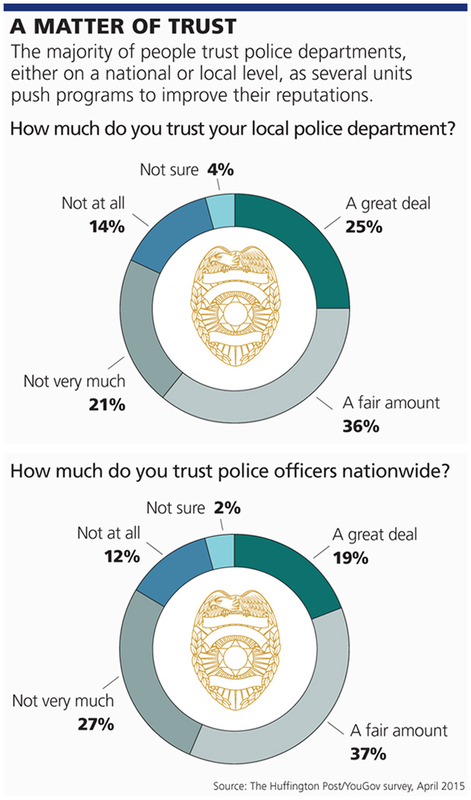 People were more likely to only associate the police with a chase, arrest, or simply staying inside their car and not getting to know the neighborhoods they police. There are still some challenges left to overcome, like making sure the department as a whole is all in on outreach efforts. "Now we’re there consistently and we hope nothing happens, but if it does I think they’ve seen a different side of what we’re trying to do, and they see a human side of us," says Labrada. 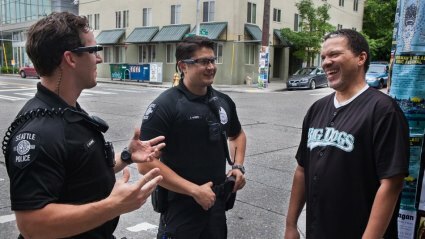 The Seattle Police Department works to stay connected with its community by publicly sharing as much content as possible, be it positive or negative. "We’ve focused this past year on transparency. It’s been something that we’ve been working hard to accomplish. It starts by just being forthright and sharing information," says Sgt. Sean Whitcomb, public affairs director at the Seattle Police Department. 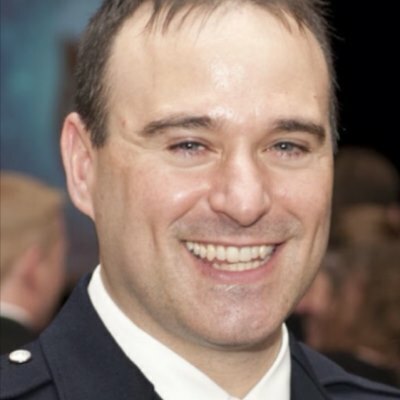 Since around the time Seattle Police Department Chief Kathleen O’Toole joined the force, there has been a greater commitment to keeping the public as updated as possible – even "information that would have made the department uncomfortable years previously," he adds, like dashcam footage from any officer-involved shooting. "For us it’s important that as we go out and about providing police services, that in instances where the public’s trust in the department might be questioned, we’re sharing all the information we have available with the public and allow them to make their own decision based on the information," says Whitcomb. "It’s really added to the relationship we have with the people we serve. It has not taken away from any investigative work that we are responsible for, so it is a net gain." Even in instances where shared content may not look positive for the department at the outset, it is part of the process. "The message that goes along with those videos is, ‘This is something that happened and here are the steps we’re taking to correct [it]," he says. Social media is integral to the department’s outreach efforts, and using a platform like YouTube to share content like body camera footage "naturally made sense," says Whitcomb, because clips may end up there regardless of who captures an event. "We wanted to ensure people could find their police contact on YouTube, and we’re the ones who posted it," he says. "If people want a clean, unredacted version, they’re entitled to that and they will get it." There’s a range of content the department shares on YouTube, whether it’s collected from a shooting or from the time an officer delivered a baby after pulling over a car for speeding. Growing its presence on the online neighborhood portal Nextdoor.com was another step the department took in 2015. While Seattle residents don’t have to worry a police officer is reading their every post – there’s an "expectation of privacy" the department sticks to, he adds – it can make sure people know about things like upcoming events or missing children. More than 83,000 neighborhoods across the country use the site. 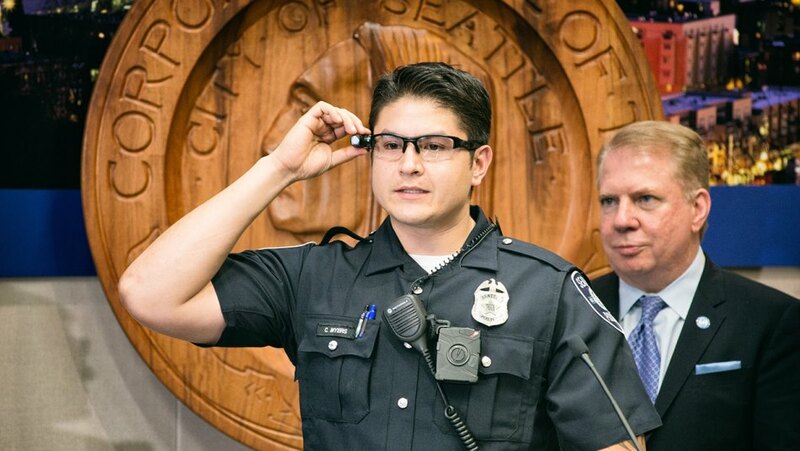 Even The New York Times has noticed the department’s efforts – an October story with the headline, "How Seattle Police and Social Media Solved Mystery of Stolen Camera," via reporter Kirk Johnson details how a stolen camera was returned to its owner, a photographer and visitor to the city, because members of the department are using Nextdoor.com. "These little moments where we can have a positive impact in someone’s life are tremendously rewarding," says Whitcomb. "Nextdoor fosters a sense of community and a relationship and shared mission." The site functions more as an online dialogue, where Twitter is its newsfeed, he adds. The @SeattlePD account has more than 141,000 Twitter followers. More than 18,000 users liked the department’s Facebook page. Social is led by the department’s public affairs team to maintain consistency. A handful of staff – which includes a former Amazon employee – manages the accounts, Whitcomb says, noting the team has become "very attached to it." As of November, the Seattle Police Department was looking to hire new officers with the aim of adding around 100 officers by 2017, says Whitcomb. "We are seeing very high-caliber and diverse candidates," he says. The department is evolving, from its new chief in 2014 to the progress the department has made addressing necessary reforms outlined in a consent decree by the U.S. Department of Justice, Whitcomb adds. "This has manifested not only in an increase in trust and confidence in our organization, but also in the number and quality of recruits to our organization," he says. At the end of last year, the Seattle Police Department held a hackathon "to address the question of transparency and privacy in regard to police video," says Whitcomb. It drew more than 80 participants that spanned students taking relevant coursework, to professionals from brands including Microsoft, Amazon, and the ACLU, to activists and coders. The task was to take police video and "release it without jeopardizing anyone’s personal information," says Whitcomb. The standout performance came from programmer Timothy Clemans who the department already knew because of his record- and information-requesting history with the department, says Whitcomb. Clemans’ method involved automated redaction and over-blurring. He was hired and his method was used to post body cam videos to YouTube during the department’s pilot program. Clemans, however, resigned earlier this year. Your call: Are police efforts to build community trust on the right path?